In November 2017, Xiaomi launched the Redmi 5 and Redmi 5 Plus in China. Two budget-oriented devices with thin bezels and an 18:9 aspect ratio. 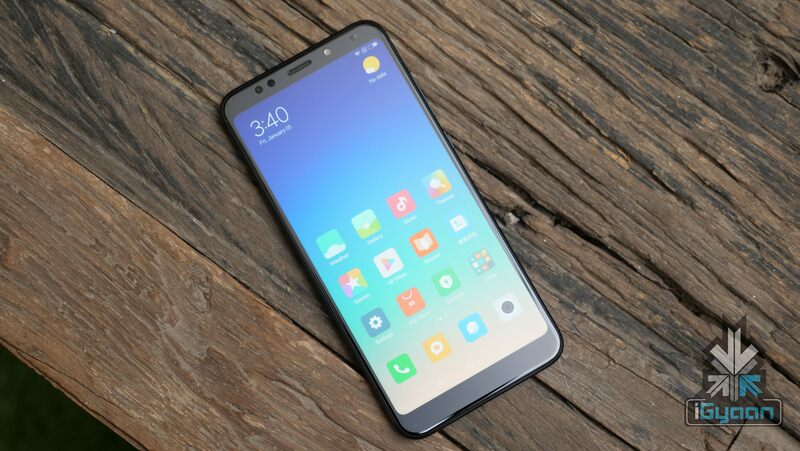 At the time of its launch, the Redmi 5 was priced at CNY 799 (Rs 7,800 approx) for the 2GB RAM/16GB storage variant and CNY 899 (Rs 8,800 approx.) for the 3GBRAM/ 32GB storage variant. It is available in Black, Blue, Gold and Rose Gold colour variants. 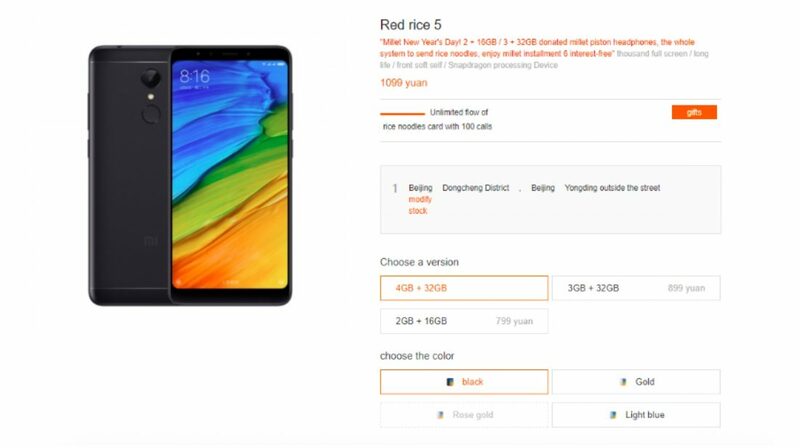 In order to keep up with the market demands, Xiaomi has launched a 4GB RAM variant of the Redmi 5in China at a price of CNY 1099 (Rs. 11,000 approx.). The 4GB RAM variant, however, is only available in Blue, Black and Gold colour variants. The Xiaomi Redmi 5 has a 5.7-inch 1440 x 720 px display with an 18:9 aspect ratio. Under the hood, the Redmi 5 has the Qualcomm Snapdragon 450 chipset, a 1.8GHz octa-core processor, Adreno 506 GPU, 2GB, 3GB or 4GB of RAM, 16GB or 32GB of onboard storage which will be expandable via microSD card. There is a fingerprint sensor placed at the back of the phone just below the camera. Powering the device is a 3300 mAh battery which, Xioami claims has a standby time of up to 12 days. The battery is charged via a micro USB slot which means no fast charging. There is a 3.5mm headphone jack placed next to the charging port as well. The Redmi 5 has a 12MP camera at the back with 1.25-micron pixel size. The camera surprisingly only records 1080P videos at 30fps. To the front of the device is a 5MP camera with Beautify 3.0, which is Xiaomi’s software for enhanced selfies. 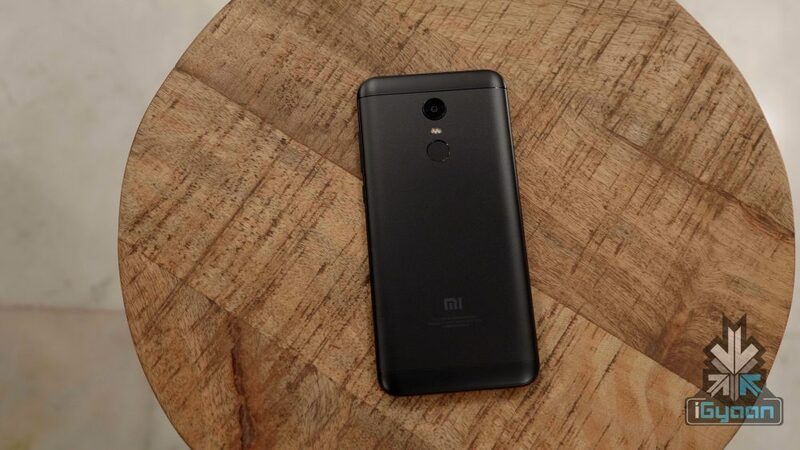 It doesn’t look like the Redmi 5 will make its way to the Indian market. For starters, Xiaomi has strong contenders in the price segment and the Redmi Note 5 is expected to grab all the headlines if and when it is launched.